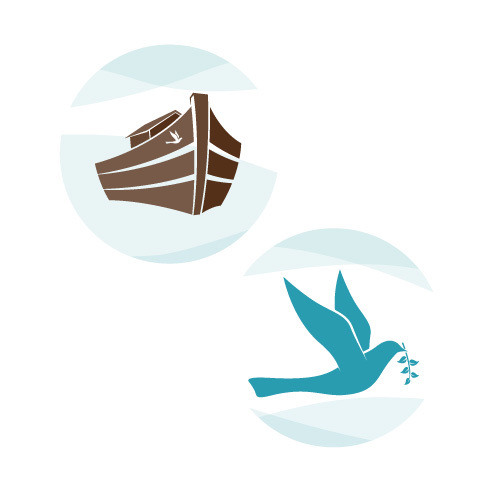 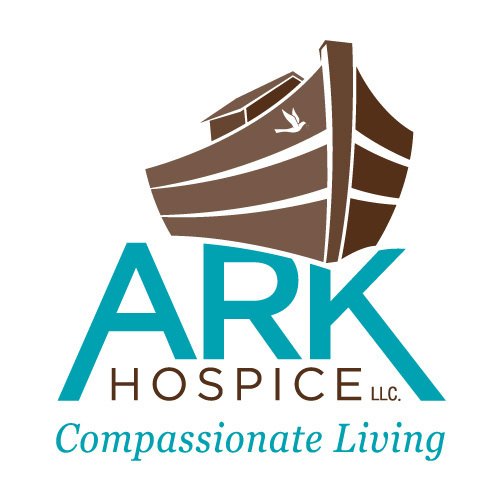 Ark Hospice provides compassionate care and health practices aimed at enriching the quality of life for each of their patients. 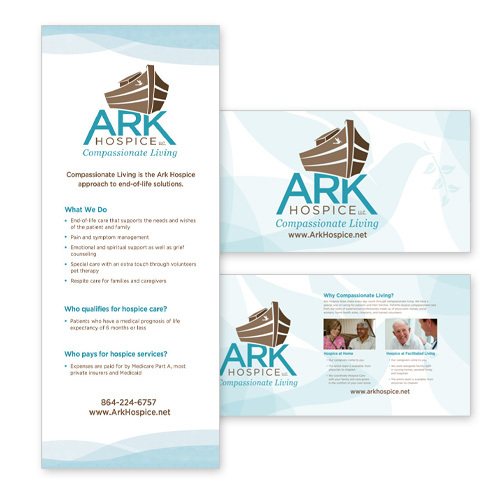 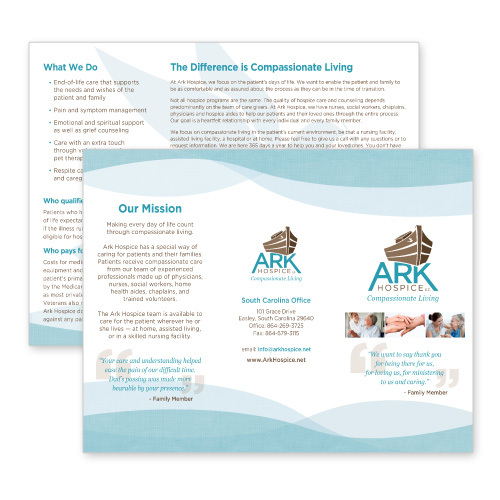 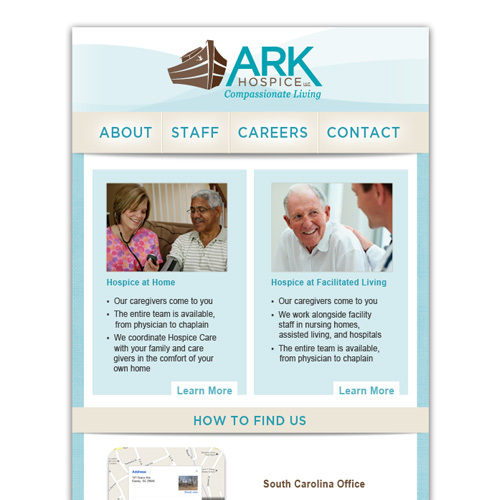 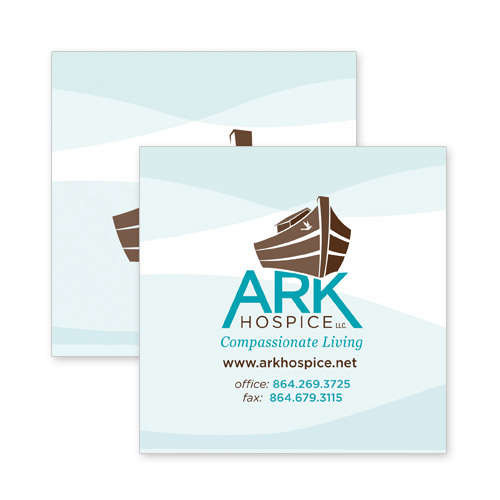 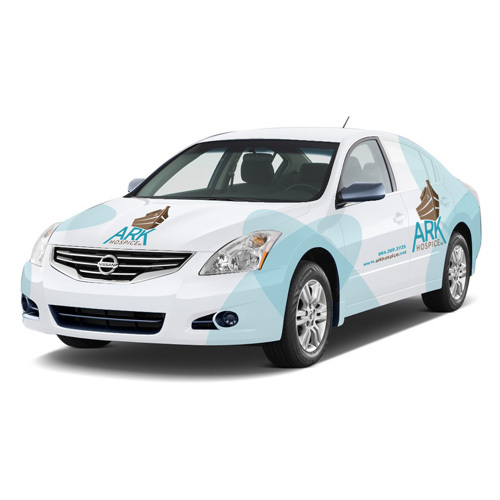 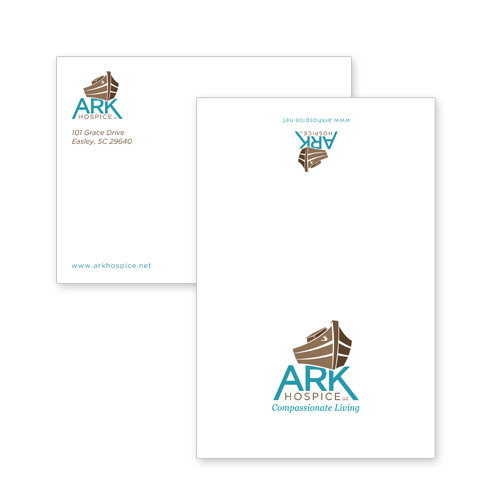 Think Webstore designed several things for Ark Hospice, such as business cards, note cards, envelopes, stickers, banners, brochures, letterheads, vehicle wraps, and their logo. 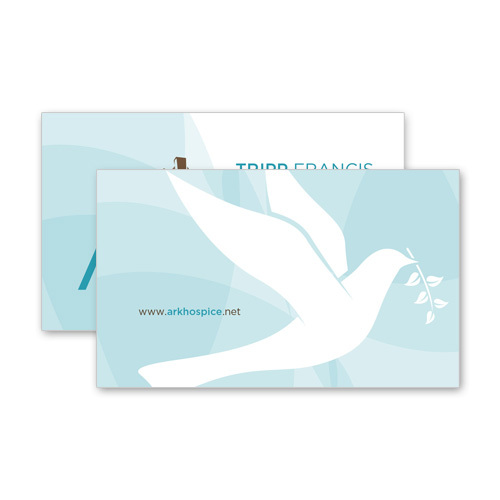 Think also managed the Facebook page.